Find here your Atlantis hotels coupons and deals. 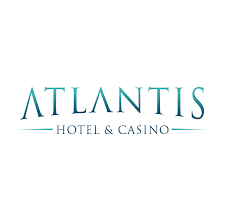 Atlantis Hotels is a small chain of 2 luxury properties that offer traditional European hospitality on the coast of the Canary Islands. Each hotel has a unique personality. The Gran Hotel Atlantis Bahia Real is bordered by spectacular beaches and the soft white sand dunes of Corralejo Natural Dune Park. The Suite Hotel Atlantis fuerteventura Resort is surrounded by beaches of fine white sand and close to the beautiful fishing village of Corralejo. It is a 4 star superior quality hotel offering everything from quiet moments of relaxation to lively daytime activities and exhilarating water sports at the Beach Club. All without leaving the resort! What can you expect form Atlantis Hotels? Hotels bordered by spectacular beaches of fine white sand.